After a short hike through a sublime forest of hemlock and cedars, the visitor comes to spectacular Avalanche Lake in Glacier National Park. This photograph presents a view of the lake quite different from that seen by the summer tourist. 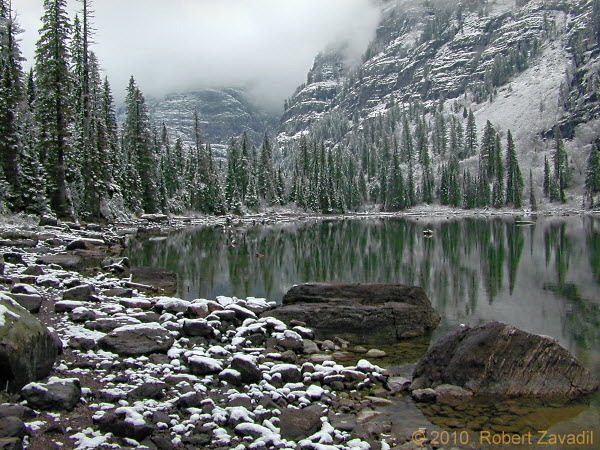 In late October the mood of the lake changes as the first snowfall of the season coats the shoreline, and winter clouds fill the valley.